Fair. All pages and the cover are intact, but may show heavy wear. Stains are on the dust jacket. Creasing is on the dust jacket. The spine is cocked. The spine is loose. ~ Goodwill Industries of Greater Grand Rapids, Inc. is a non-profit organization dedicated to changing lives and communities through the power of work. My grandson was so excited to get this. He spends hours creating things with Legos and was happy to have new ideas. My grandson grabbed this book , got his Lego's and kept himself occupied for hours. 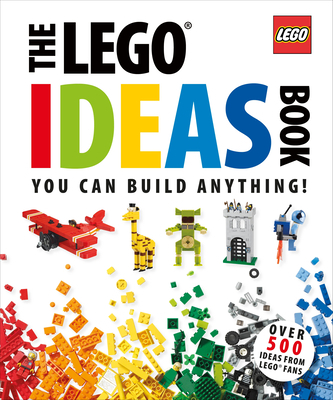 The ideas in the book range from fairly simple to complex. This is a book to be enjoyed for a long time.